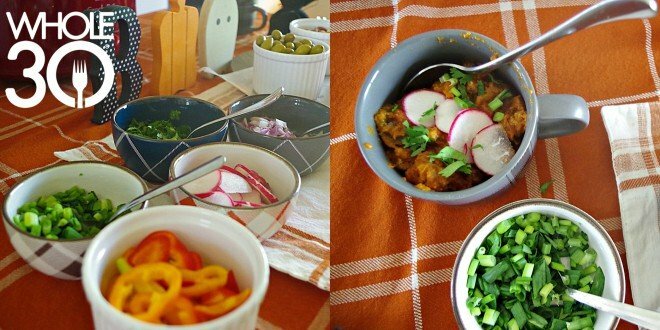 This post comes from Amanda Tynis of TheKitcheneer.com. If you’d like to submit a recipe, helpful tip, testimonial, or Whole30 article for consideration, email it to [email protected]. We hear this Sunday is a really big day for sportsing! (We hope your team moves the ball to score the points.) In the past you’ve invited all of your favorite people to watch the event while eating and drinking all kinds of junk. But this year, you’re doing a Whole30. (Or maybe you just finished the #JanuaryWhole30 and you intend to carry your new habits into your Life After.) Fear not: you can still have an evening filled with friends, food, fun, and sports (and commercials, and halftime shows) and remain 100% Whole30-compliant. Our suggestion? 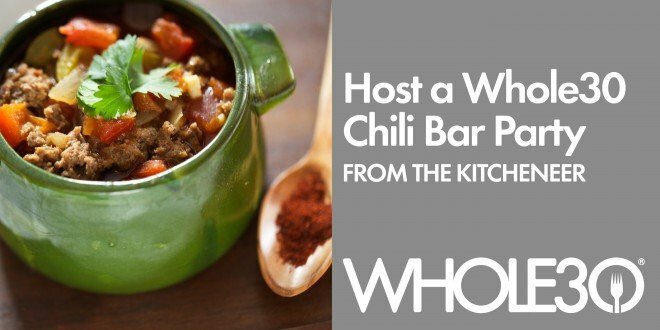 Take a play from The Kitcheneer’s book and host a chili bar complete with a variety of chili and an entire spread of Whole30 Approved or Whole30-compliant toppings. In fact, this idea might just earn you the Hosting MVP title while never once causing you to fumble your Whole30. We call that (and our awesome sportsing puns) a win-win. But first, let’s hear more from Amanda of The Kitcheneer. The Whole30 helped me break up with the scale. I used to have major anxiety about weighing myself; just knowing the scale was in my bathroom made me anxious every morning while I brushed my teeth. By the end of my second Whole30, I realized I no longer cared what the number on the scale said, and I gave it away. That’s right: I no longer own a scale. I recently completed my third Whole30. I’m down three dress sizes and have lost a total of 16 inches lost. I couldn’t be happier with myself! On The Kitcheneer I blog about the many situations that can cause somebody to have temptations and second thoughts during a Whole30. For example: attending your best friend’s birthday party knowing there will be sweet goodies you can’t have, or going to the tailgate knowing there will be a giant bowl of nacho cheese dip. I love to flip those situations to fit my needs during a Whole30. I’ll bring something Whole30-compliant to contribute to the birthday party, or go to the tailgate with an if/then plan in mind. Or, I’ll host my own party featuring a 100% Whole30-compliant menu, and wow all my friends with delicious, compliant fare! Serve a variety of chilis. Have something for everyone by making a few different types of Whole30 chili. 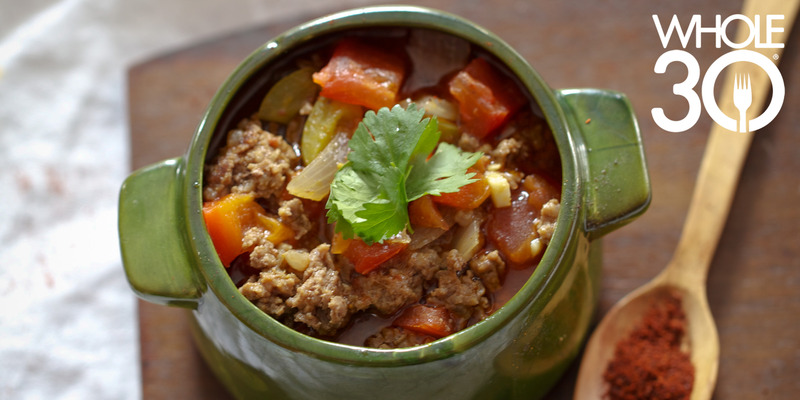 I love my own recipes for Paleo Beef Chili and Pumpkin Turkey Chili (recipes at the end of this post), and the Classic Chili recipe on page 342 of The Whole30 is always a fan-favorite. Make it a contest. Involve everyone in the fun by inviting your guests to bring their best Whole30-compliant chili for a prize. Let everyone at the party vote on the crowd favorite and give the winner a homemade trophy or gift basket. And now, onto the recipes! PLACE a large skillet over medium-high heat. Add oil to the skillet and swirl to coat. ADD beef and saute until browned, breaking the ground beef into small pieces. When cooked through, add beef to crockpot. ADD peppers and onions to skilled and saute for about 5 minutes, until soft. ADD garlic and saute for an additional minute. Move the veggies to the crockpot. ADD tomato sauce, diced tomatoes, jalapeno and spices to the crockpot. PLACE a large skillet over medium-high heat and add oil. Swirl to coat the pan. ADD turkey and brown until cooked through, about 7 minutes. ADD onion and sage and saute with turkey until onions are soft, about 5 minutes. Move the turkey and onion mixture to the crockpot. ADD diced tomatoes, garlic, bell pepper, pumpkin and spices to the crockpot. Stir to combine. Header photo: Erin K Handley. Post photos: Erin K. Handley and Amanda Tynis. Amanda Tynis is a twenty-something on a mission to develop a healthier lifestyle by engineering her favorite recipes with healthier ingredients. 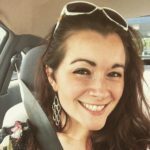 She focuses mostly on Paleo and Whole30 compliant recipes, which she posts on her blog TheKitcheneer, Instagram and Facebook. She’s also a self-proclaimed CrossFit addict.